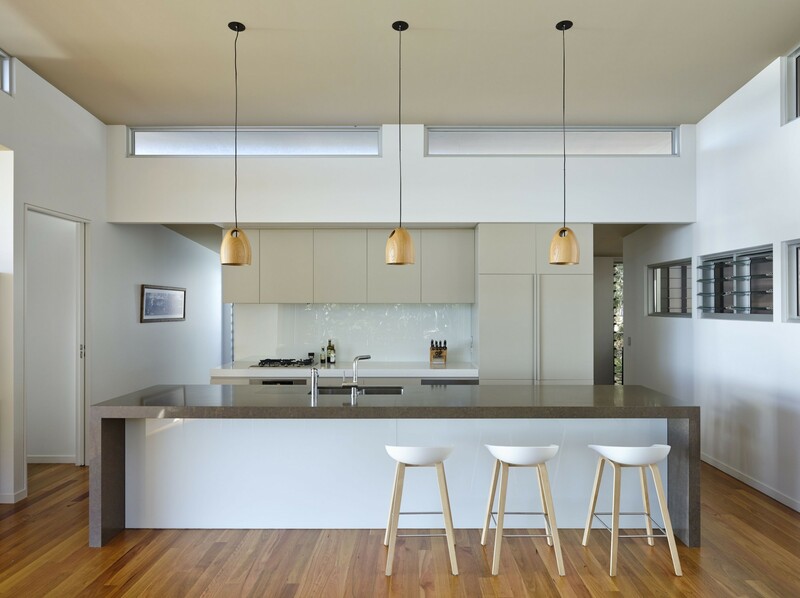 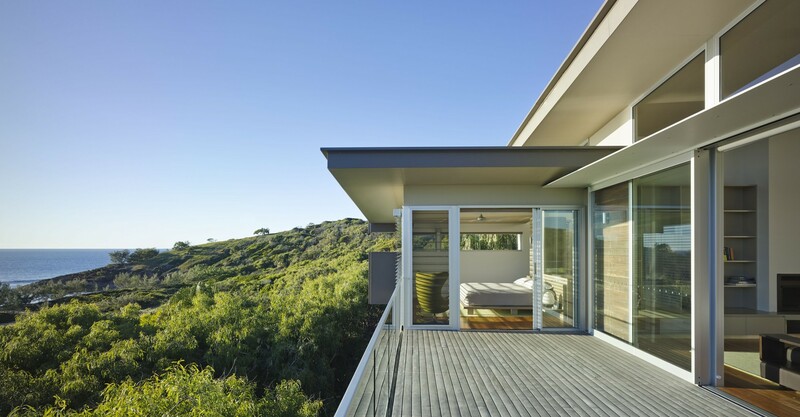 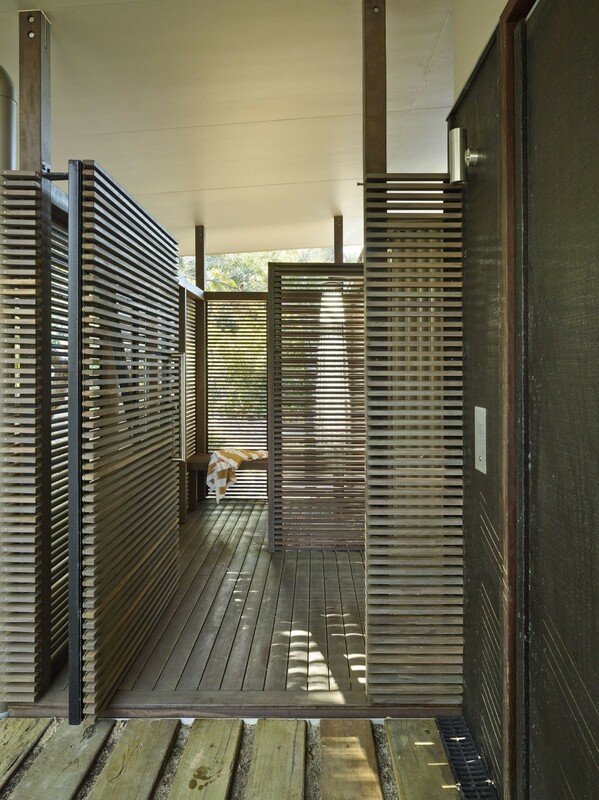 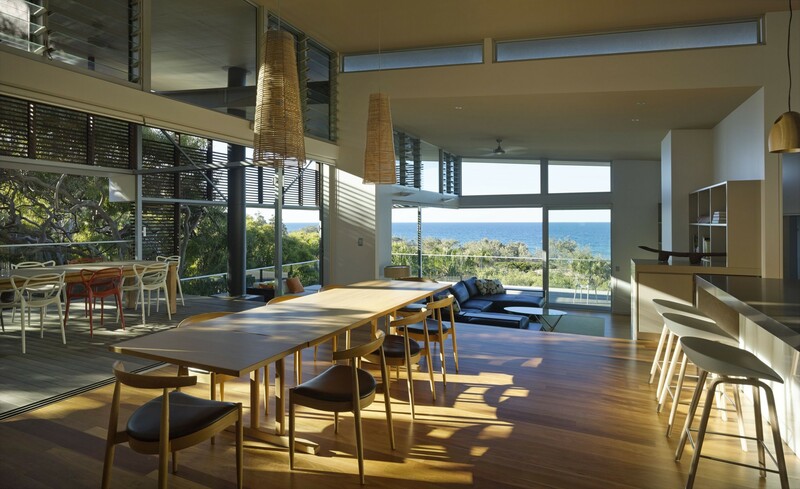 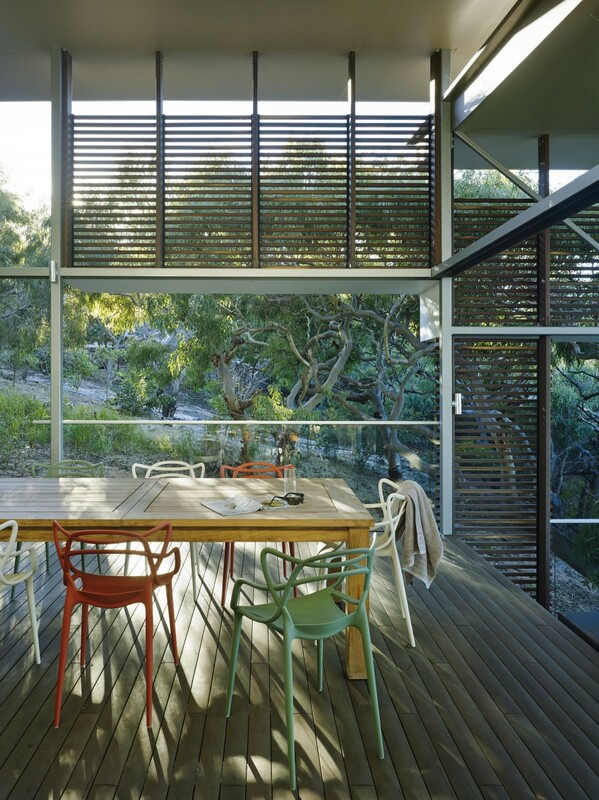 Stunning ocean views and the intrinsic connection to landscape are enhanced from each platform in the house, where family and friends enjoy the comfort of casual luxury in the subtropics – an authentic Australian beach house. 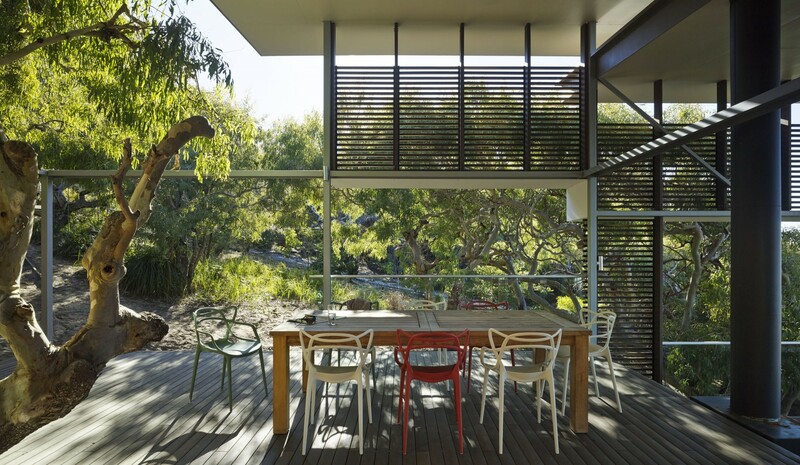 Designed for clients living overseas, Red Rock beach house is located on a densely vegetated and subtropical remote beach at 1770 in central Queensland, overlooking stunning views over the Pacific Ocean. 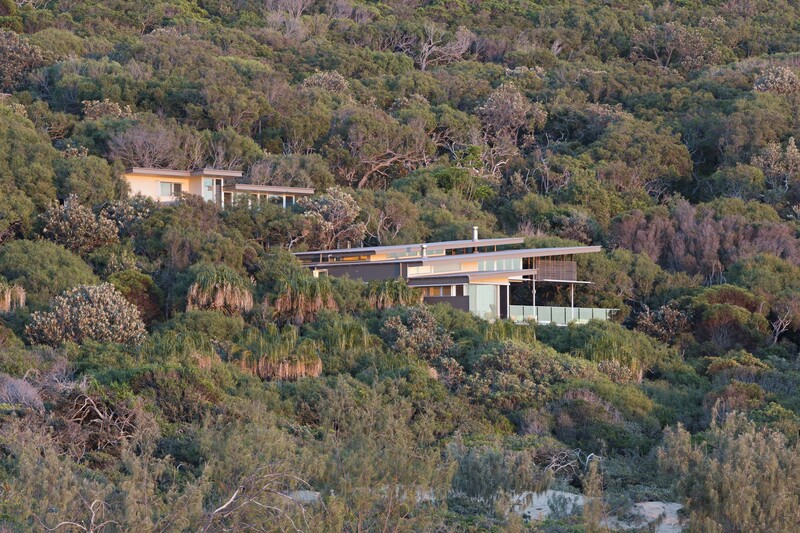 In celebration of this coastal setting, the design of this house forges an inextricable link between its occupants and the gorgeous spirit of the Red Rock headland. 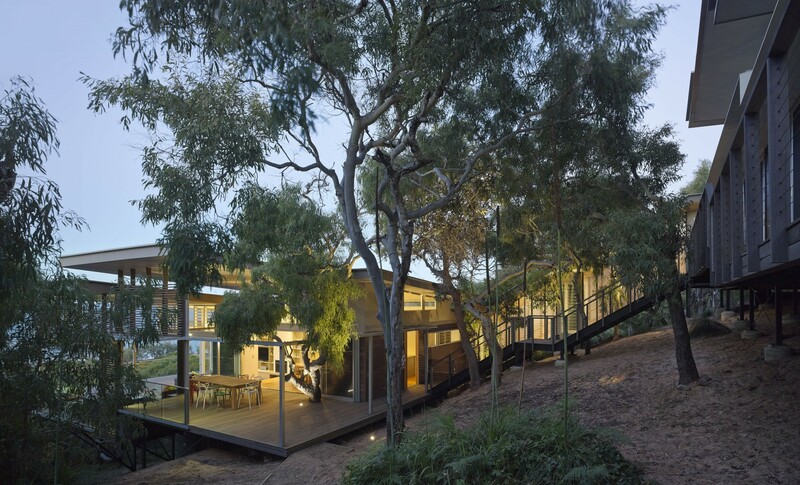 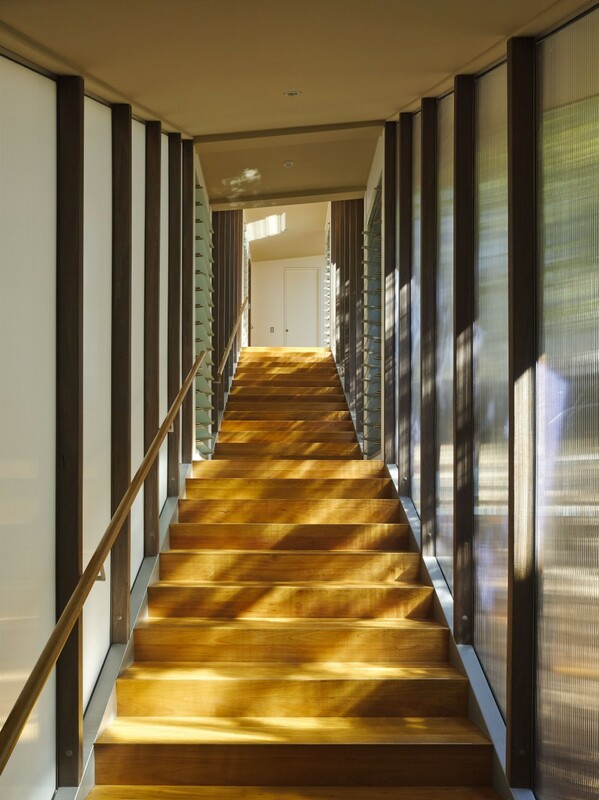 Having mapped the building footprint around significant trees in the area, Red Rock is carefully nestled into its natural landscape, sensitively placed between Banksia trees and a Moreton Bay Ash that serves as focal point in the house. 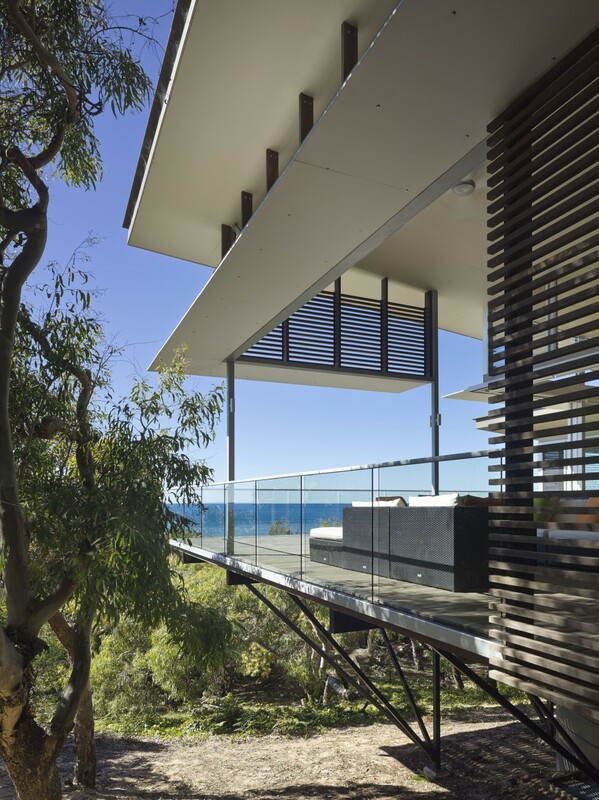 Exploring ideas of lightness, layers of transparency and an integrated sense of indoor and outdoor living, the foundation of the house is a simple series of stepped timber platforms that enable a contemporary coastal lifestyle to unfold within the unique surrounds. 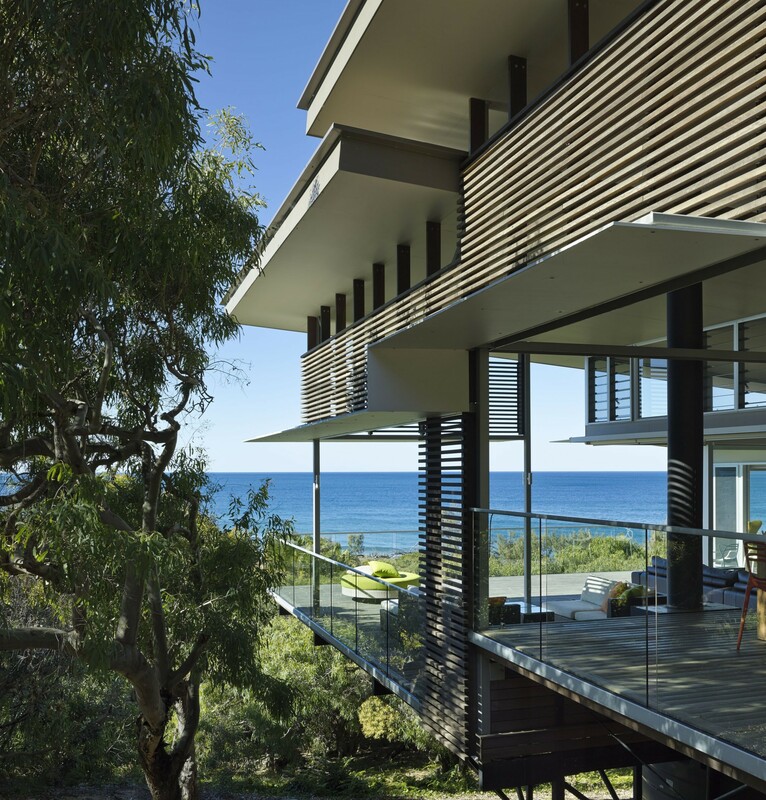 Stunning ocean views and the intrinsic connection to landscape are enhanced from each platform in the house, where family and friends enjoy the comfort of casual luxury in the subtropics. 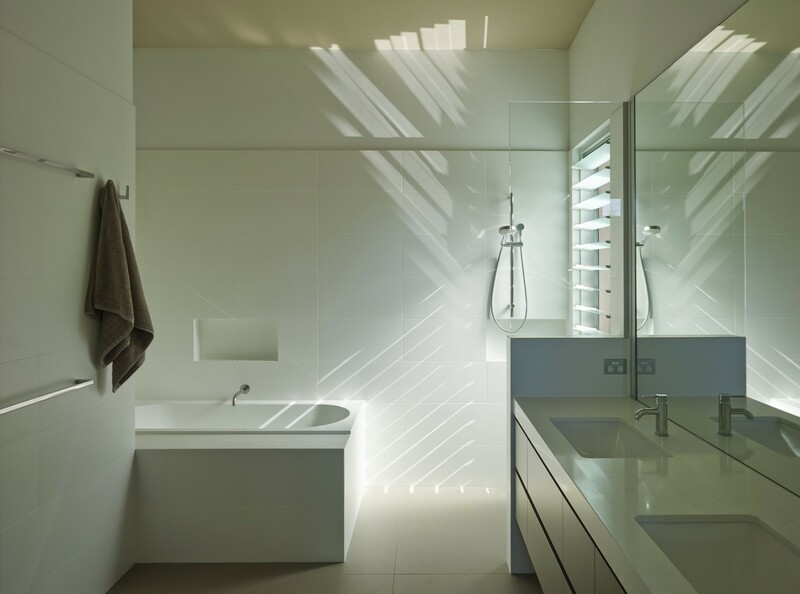 Apart from full architectural and project management services, Bark also provided interior and furniture selection services for this build. 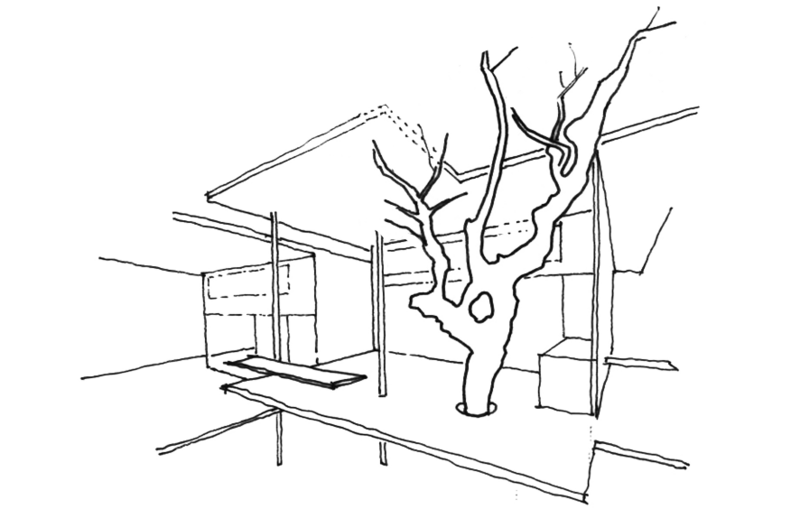 This included coordinating the purchase delivery and installation of all furniture items. 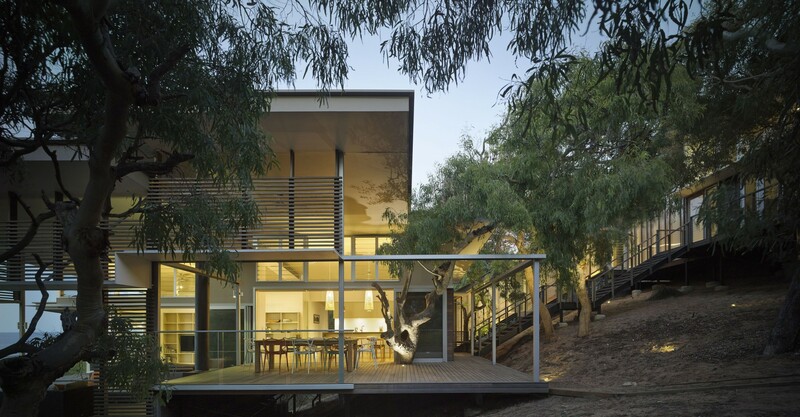 This truly is authentic, contemporary Australian beach house living.